Every two-three years, the 183 countries who are signatories to the CITES (the Convention on International Trade in Endangered Species of Wild Fauna and Flora) treaty, meet to decide which species need further protection, and which species will endure further killing and trade. 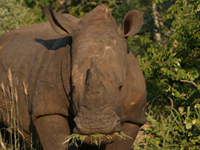 2016’s CITES Conference of the Parties (CoP17) was held in Johannesburg, and ADI’s President Jan Creamer, Vice-President Tim Phillips, and General Counsel Christina Scaringe, were there to provide expert evidence and advice on the proposals put forward. On this page, you’ll find the results from CITES CoP17. Lions lose at CITES CoP17. CITES CoP17 has dealt a devastating blow to African lions, already decimated with only 20,000 left in the wild. Nine African nations (Niger, Chad, Côte d’Ivoire, Gabon, Guinea, Mali, Mauritania, Nigeria and Togo) wanted to raise protection for lions by up-listing them to Appendix I status, the maximum level of protection. The move was intended to end the lion bone trade. Instead, a compromise proposal was hammered together to appease the fierce opposition from lion bone and body part traders, and the hunting for entertainment enthusiasts. Lions remain on CITES Appendix II, but with a “zero annual export quota for bones, bone pieces, products, claws, skeletons, skulls and teeth removed from the wild and traded for commercial purposes.” However, South Africa has been permitted to set its own export quota for the same body parts and products from their captive breeding operations. Of course, nobody can tell the difference between wild lion bones and captive bred lion bones, and tragically, it does not include lion skins or parts/derivatives obtained through captive breeding. ADI is deeply disappointed and believes this move encourages opening markets in lion bone trade; countries that are not currently trading in lion bones will now want to join the trade. 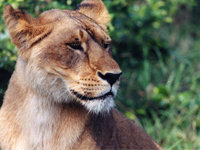 The decision is in stark contrast to the recent IUCN call for an end to captive bred lion hunting operations, and the recent recognition by the countries with wild lion populations, that the increasing lion bone trade poses a serious risk to the survival of the species in the wild. CITES denies elephants’ Appendix I protections. Thirteen African countries proposed to up-list all African elephants to Appendix I, to ban all ivory trade, and address the species’ decimation caused by illegal and legal markets, political destabilization to African nations, and criminal impacts to local communities, including expanding criminal networks with ties to terrorist organizations. Supporters included an economist noting the devastating impact of the expanding ivory market, evidenced by simultaneously increasing supply (via poaching) and pricing. Botswana also supported the proposal, noting they “unreservedly and voluntarily relinquish” their Appendix II status and committed to another ten years on their ivory trade ban, to 2024. The proposal required a 2/3 majority, but lost 62-71; elephants remain split, listed with Appendix II listing for Botswana, Namibia, South Africa, and Zimbabwe. Opposition to Appendix I listing included South Africa, Canada, China, Japan, the EU, and US, among others. US opposition was contrary to verbal assurances provided prior to the vote. The EU’s 28 votes for each member country meant its opposition was particularly devastating. being “deeply disturbed that these animals are treated as mere objects;” noting “deleterious effects have been confirmed by elephant experts; referencing the recent death of a young female elephant in transit to a US zoo; and declaring that “animals held in captivity have nothing to do with animals in the wild”; and that because “elephants live in groups, when captured their families are broken up … [it’s] comparable to what happens to human families when they are broken up.” Kenya added captivity was “lifelong incarceration” and declared it “is time we put an end to the exporting of elephants out of their home ranges.” The measure was watered down in its working group; however, the compromise adoption calls for further study and reporting to revisit the live trade in elephants and rhinoceros in subsequent CITES meetings. CITES votes down protections for Cape mountain zebra. The CITES CoP17 Committee voted in favour of South Africa’s proposal to remove Appendix I protections for the vulnerable Cape mountain zebra and down-list them to Appendix II. Proponents claim trophy hunting creates economic incentive and promotes livelihoods, but the science is clear that wildlife is worth more alive. Evidence shows the claimed financial benefits of trophy hunting to local communities are largely exaggerated, bearing little actual connection to conservation, whereas eco-tourism was found to generate substantial economic benefit in direct earnings - more than 15 times that for game “farming” and trophy hunting. Historic pay-to-slay permit schemes’ failure is evidenced by the staggering decline of numerous species over the last century, whilst sustainable, non-consumptive tourism provides local communities lasting economic benefit and incentivizes wildlife conservation. Committee votes to down-list the Florida panther to Appendix II status. CITES could revoke protections for wood bison. The CITES CoP17 Committee voted to adopt Australia’s proposal to down-list the Norfolk Island boobook owl to Appendix II, noting the species is functionally extinct and such down-listing is the next step in CITES procedure to remove extinct animals from review. Geologists increasingly raise the call to declare this as the Anthropocene epoch – named in recognition of humanity’s impact upon the world. ADI underscores the need to recognize our role in sharing this planet with other species; it’s their Earth too. Good news for Barbary macaques. Pangolins win highest protections at CITES CoP17. Appendix I listing protections were adopted for all species of Asian and African pangolins. The Committee vote was unanimous for African pangolins, with Indonesia arising as the only party opposing the up-listing for Asian pangolins. India’s intervention noted tiger traders increasingly turn to pangolins as prices increase in illicit markets. All proponents noted the shy mammal’s low birth rates, captive breeding failures, and status as the most trafficked mammal in the world. A final plenary vote on October 4 in their favor is expected. Poignantly, as the CITES conference took place in Johannesburg, an African pangolin on display at San Diego Zoo died. He was the only one of its kind in the US. Initially, the African pangolin had been confiscated from the illicit trade in 2007, suffering very poor health. The African Grey Parrot wins in secret ballot. A motion by Kuwait, supported by twelve parties, resulted in a secret ballot (which prevents us from knowing how each party voted). The secret ballot overwhelmingly supported up-listing, and so African greys won the day! Western tur gains CITES protections. The Committee adopted Georgia’s and the EU’s proposal to up-list the Western tur to Appendix II status, with an amendment proposed by Canada, the US, and Guyana, to remove a proposed zero export quota. ADI supported the proposal. The primary threats to Western tur are trophy hunting and poaching, as these vulnerable animals are sought after for their beautiful horns. The species’ demonstrable international demand, a decline of more than 50% over three generations, and low reproductive rates, support the proposal. Peregrine falcons tentatively win in close vote. Canada’s proposal to down-list the peregrine falcon to Appendix II was rejected in a close vote at the CITES CoP17 Committee meeting. The US voted for the down-listing; the EU voted against. IT appeared the measure would face a renewed challenge by Canada at the plenary meeting on October 4. ADI opposed the down-listing proposal. Sri Lanka is set to host the next CITES meeting in 2019. Ask your MP or Congress member for support. Send us photos of you in action for animals, whether you’re distributing our resources dressed as a lion, or taking part in a march! Email them to info@ad-international.org. Donate to help ADI campaign for animals in need.